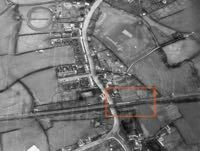 On April 2 1928, a small halt opened on the existing Teign Valley line between Newton Abbot and Exeter, St David's. The line opened in 1882 to serve several mineral quarries in the Teign Valley. The Devonshire Barytes Company shipped baryte to the Lower Mill off Commercial Road in Exeter to be ground down into a fine powder for use in paint, and as an ingredient in barium meal for use in x-rays. The line also served a number of stations for passengers and light freight to the villages of the Teign Valley. 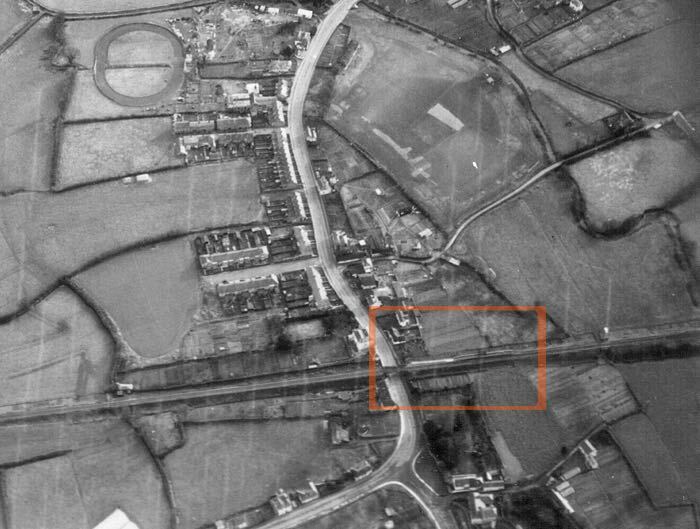 By the 1920s, the growth of Exeter as a shopping centre and place of work, and the still sparsely populated, but expanding Alphington necessitated a new station. The station consisted a 100ft long wooden platform on the Alphington side of the track, along with a small, flat roofed, corrugated shelter. A sloping path adjacent to the bridge crossing church road gave access to the platform. Passengers without tickets could purchase from the guard. 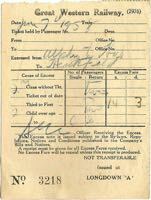 The GWR promoted the new halt, and the line with special shopper tickets to Exeter–Ide to Exeter was 5d and Alphington to Exeter 3d for Christmas 1930. Passengers peaked during the 1930s. Special coaches were attached to trains for outings as described in this Exeter and Plymouth Gazette clip from September 1932. In July and August 1937, and 1938, special fares were offered for Navy Week in Plymouth. In September 1937, the wooden platform caught fire as this Exeter and Plymouth Gazette report explains. There were seven daily services each way between Heathfield and Exeter, and four during the war years. Traffic dropped in the 1950s and on 3 March 1958, British Rail announced the closing of the passenger line, a full five years before the Beeching cuts started to decimate the British Rail route system. A protest by the St Thomas Rural District Council delayed the closing of the line. 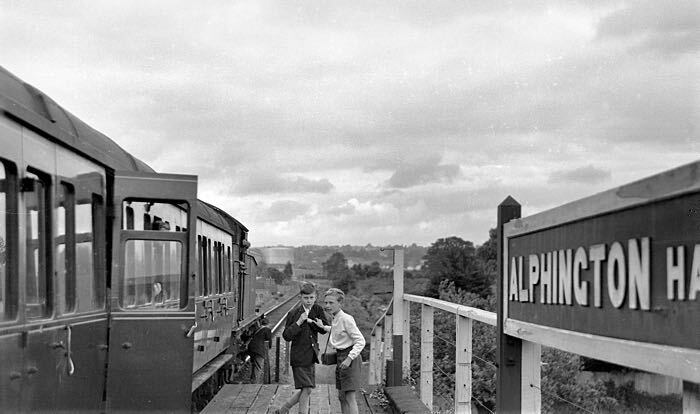 The last train ran on the 9 June 1958, hauled by locomotive Class 2-6-2T No 5533, left Alphington Halt for Exeter at 9:18pm, while the return journey to Heathfield carried more passengers than usual, as villagers stood in their gardens waving to the train as it passed for the last time. The line between Christow and Exeter was permanently closed, while the line down to Heathfield remained open for mineral traffic. The track was lifted in February 1962 apart from the sidings running into Marsh Barton from the mainline. 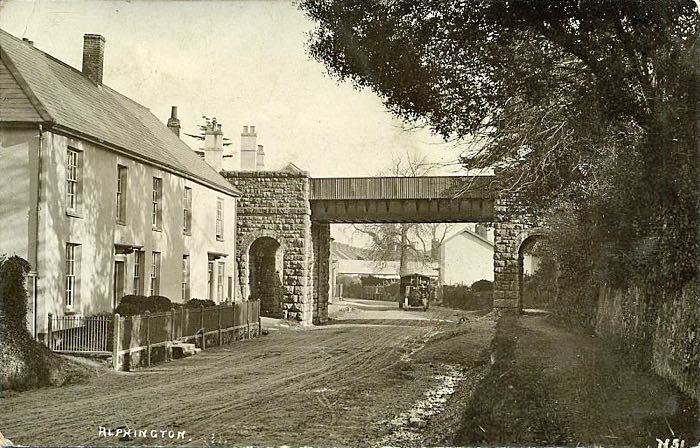 The railway bridge over Church Road–the halt was on the right. The 6:15pm train on the last day through Alphington Halt waits before departure. Photo Roger Joanes. 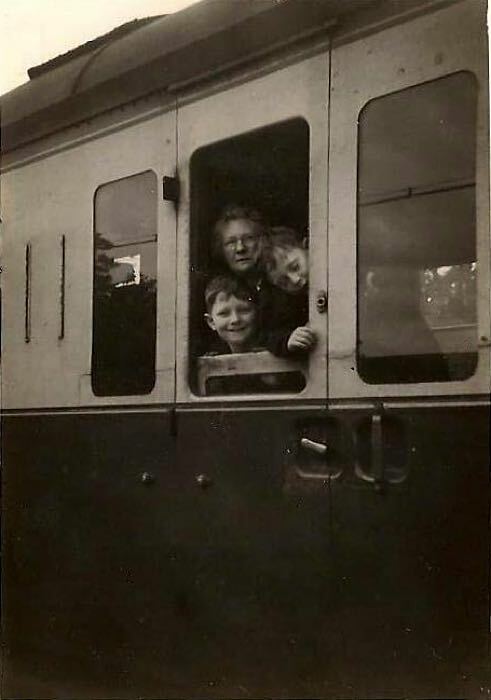 Three of the Courtenay family (grandmother and children) waiting on the last train. Their mother took the photo. Photo courtesy Auboné Braddon. 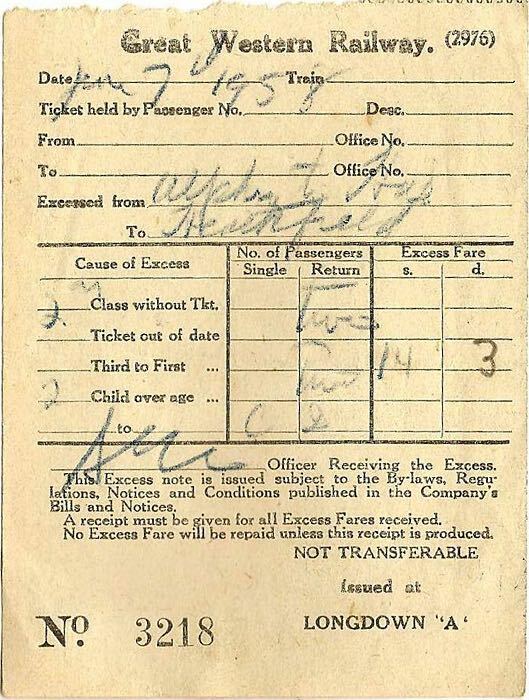 The handwritten ticket that the Courtenay family purchased at Longdown for the trip between Alphington and Heathfield. Scan courtesy Auboné Braddon.